Quality by all means can be described as the tool that ensures complete customer satisfaction and in turn the only way to measure customer satisfaction. Interface Software Services Quality Initiatives are based on a 3Q approach: Quality personnel, Quality Process and Quality Communications. 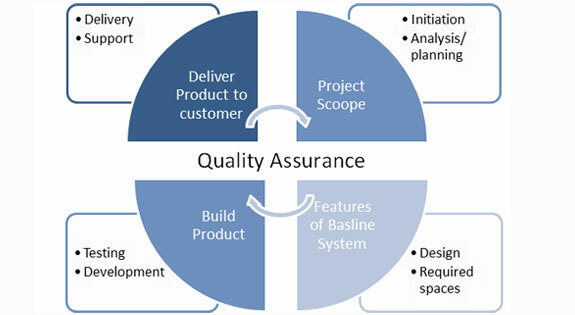 Each project at Interface Software Services is under constant control of a dedicated quality assurance department that monitors project activities and results at each development phase. We carefully study each customer particular case to understand the client’s needs and objectives and deliver a dependable solution. We make you aware of all available options and provide you with a competent advice enabling you to take an informed business decision. We are committed to becoming your long-term, trusted partner. Our priority is not only providing professional services and solutions but becoming your IT vendor dedicated to meeting your needs today and support your growing business needs tomorrow. We provide high quality software services for web designing, web development, web hosting, CRM, ERP, e-commerce solutions, software development and multimedia presentations to the end users on a broad range of hardware & software platforms and latest technologies. We help you with your IT needs and strive to put you at the apex of success. What make us ahead of the competitors is our quality deliverables at an affordable price and within stipulated period of time. As a software development company we strive to ensure that your business benefits as greatly as possibly from cutting edge technology, faster implementation of ideas and optimum utilization of resources. We have chosen a strategic Delivery Relationship model that delivers ace service and premium quality products to our clients at affordable prices. We believe honesty as the stepping stone of Client Relationship.